Travelling with the kids in tow reveals a wonder-filled, world of whimsy that our adult sensibilities sometimes mute. It reminds us that overwhelming happiness can be delivered in the form of an ice cream stacked three scoops high; that nature can be utterly mesmerizing; and that even a flip-flop of the stomach on a rickety roller coaster can electrify the senses. All of these joys - big and small - can be found in Vancouver's parks, urban islands, boutique toy stores, wild places and play spaces. The real question though, won't be what to do, but where to start. Hours: Daily 10 a.m. - 6 pm. ; Thursdays open until 8 p.m. Hours may change seasonally. 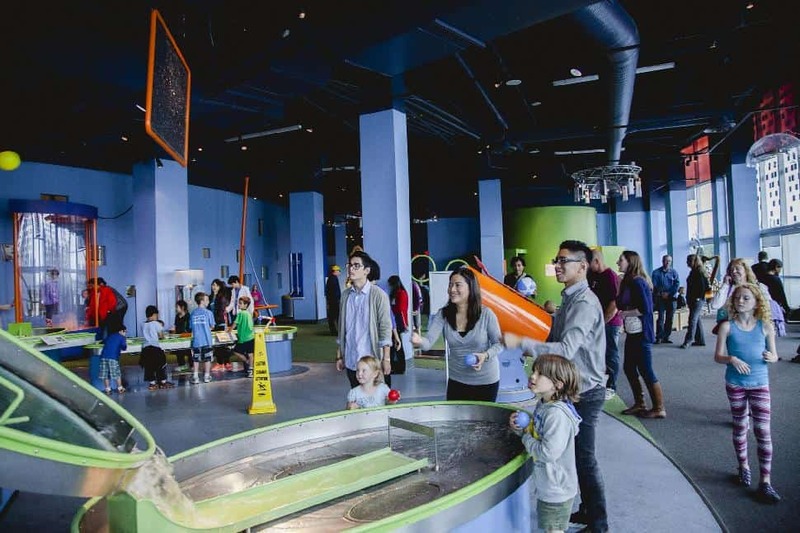 Why the kids will love it: Science World is a place to inspire curiosity and engage in interactive play. It's perfect for kids of all ages and the young at heart. 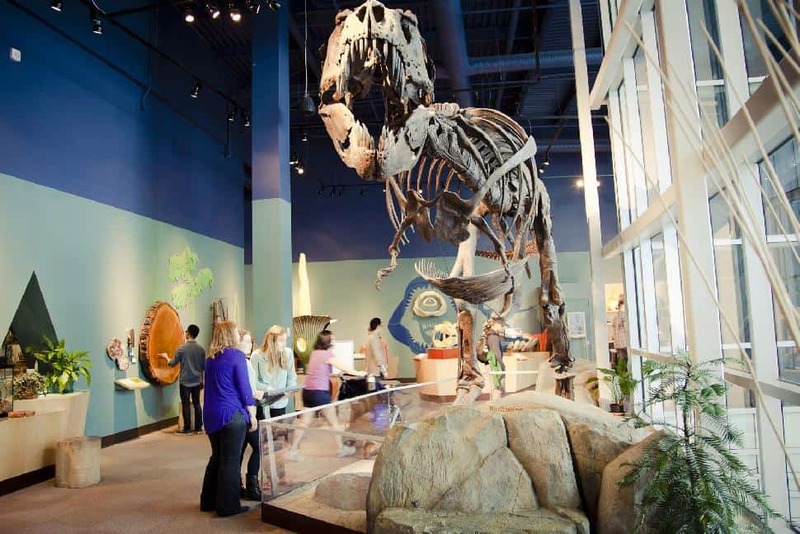 Watch live science demonstrations, navigate learning stations and take in a film at the larger-than-life OMNIMAX Theatre. With a screen measuring five storeys high and 27 metres in diameter, and featuring wrap-around digital sound, you can really let your imagination run wild. 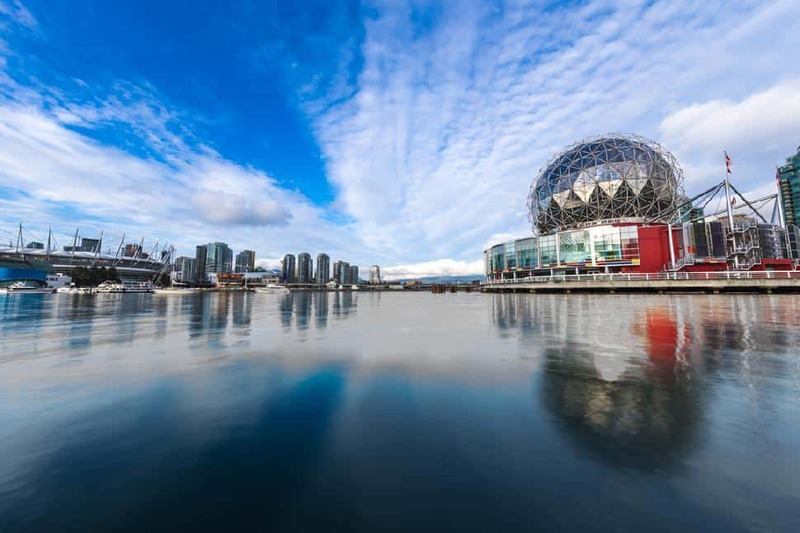 Science World can be enjoyed any time of the year, but makes for an especially entertaining day if you happen to catch Vancouver on a rainy day. Hours: Open daily from 10 a.m. to 6 p.m.
Why the kids will love it: It's two floors of boutique shops brimming with games, books and toy sets, candy shops with lip-smacking sweets, and funky craft supply stores. The Kids Market houses over 25 shops, an Adventure Zone (an indoor jungle gym), arcade and food vendors. 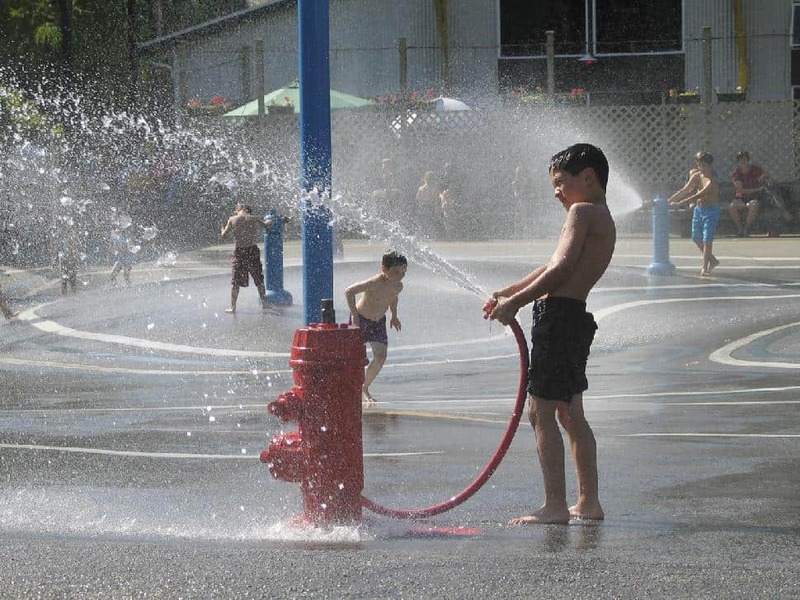 Pack a picnic or pick up some take-out from the Granville Island Market and then enjoy some playtime at the water park (free) or playground. 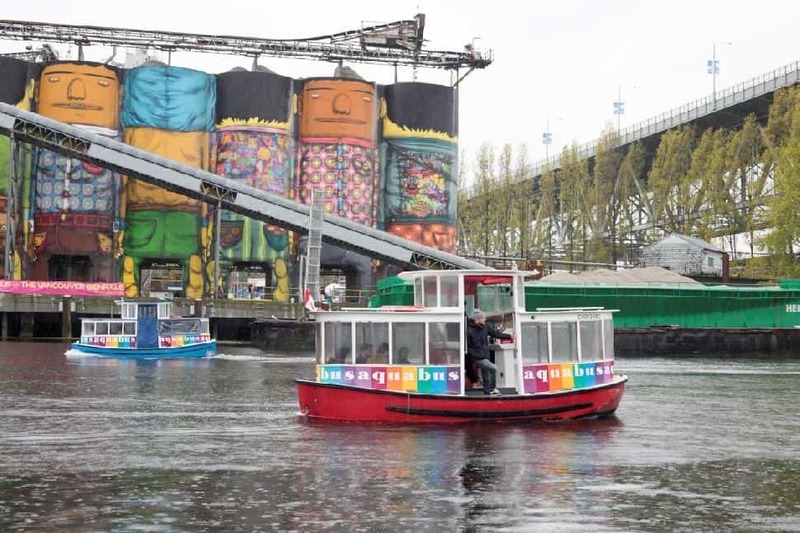 Add a dash of fun to the excursion by arriving/departing via False Creek Ferries or Aquabus. 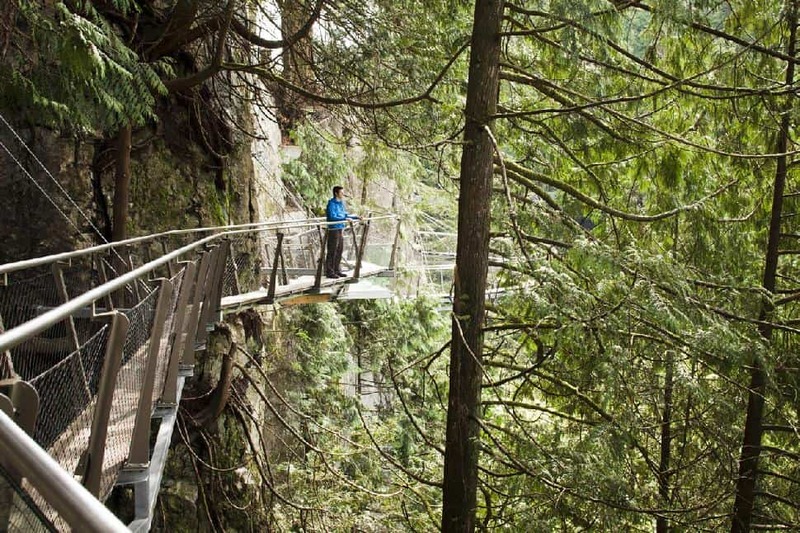 Why the kids will love it: Test your nerves as you walk along the suspension bridge's 137 metre expanse (450 ft), hanging a whopping 70 metres (230 ft) above the Capilano River. After crossing the bridge be sure to explore Treetop Adventures, Cliffwalk, Kia'palano, The Living Forest and the Story Centre. 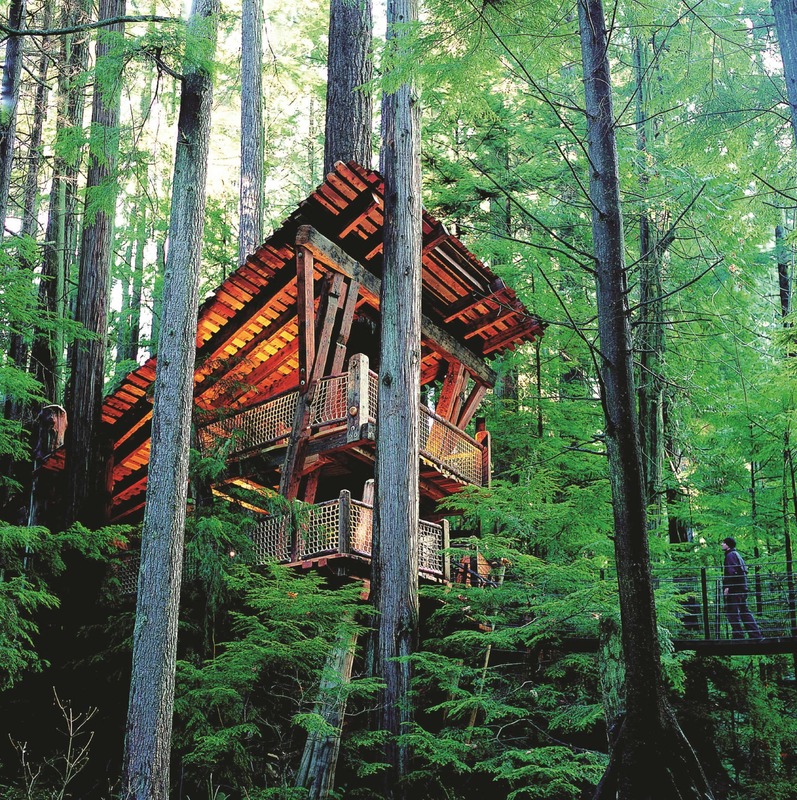 Kids won't be able to resist the Treehouse, located right at the beginning of Treetop Adventures. While there, ask about the Kids’ Rainforest Explorers Program. Complete a self-guided interactive scavenger hunt to earn a Rainforest Explorer's badge. Hours: 10 a.m. to 4 p.m. Tuesday through Sunday; 7 days per week from April through October. The farm is open year-round. 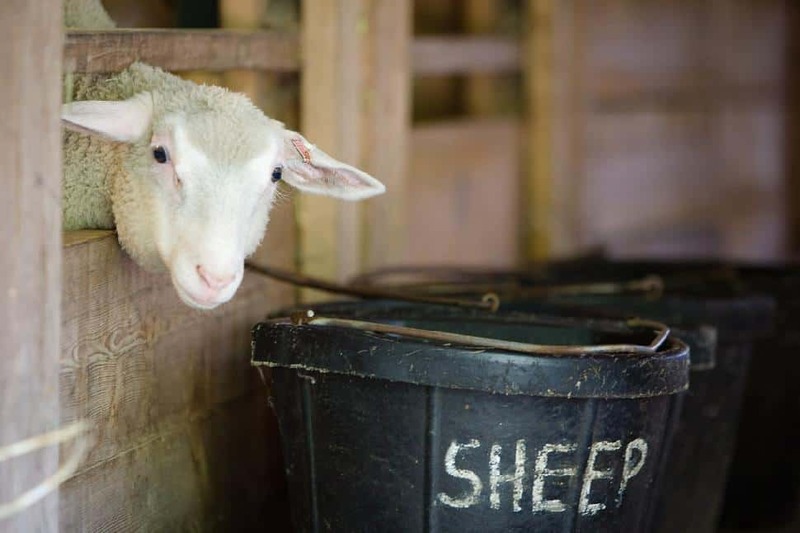 Why the kids will love it: Maplewood Farm offers families - especially young children - a chance to pet some of the animals they read about in their books! Fuzzy residents include Pygmy goats, rabbits, chickens, sheep, cows and so much more. About 200 animals and birds call Maplewood their home, which means the kids might even meet some new animal friends. 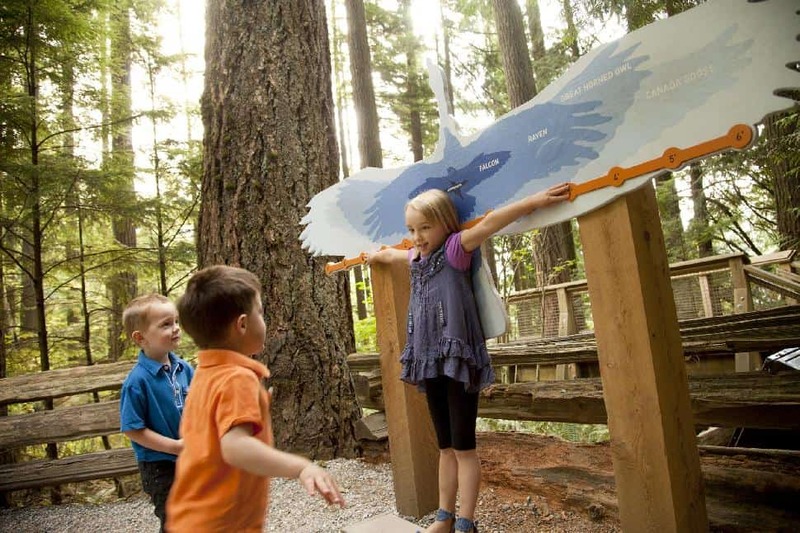 Hours: 365 days/year, 9 a.m. - 10 p.m.
Why the kids will love it: Let the gondola whisk your family from the base of Grouse Mountain to its peak in just a handful of minutes. At the top, admire the view of Vancouver, surrounding cities, Lion's Gate Bridge and the freighters anchored offshore. You can get an even better view from The Eye of the Wind (a wind turbine), that is, if your nerves can handle it. Next, enjoy some of the mountain programming Grouse has to offer. 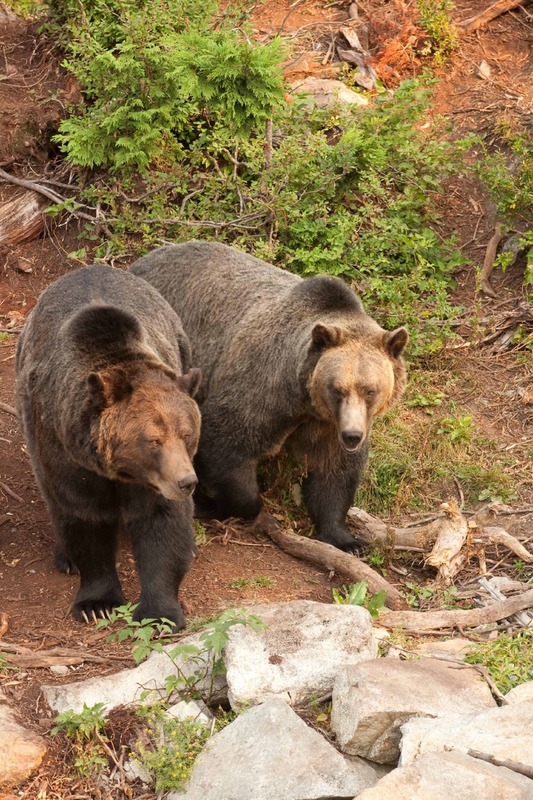 There's guided eco-walks, ziplines, a grizzly bear habitat, lumberjack shows, disc golf, learning presentations, and interpretive stations. Keep your eyes open for owls, hummingbirds and Alpha, a timber wolf whose protected habitat is located at the mountain's base. Hot tip: you don't need a car to get from downtown Vancouver to Grouse Mountain. A free shuttle departs from Canada Place multiple times each day. See the schedule here. Hours: May 7 - September 18, see calendar for operational hours. Why the kids will love it: 30+ rides and attractions, like a wooden roller coaster, Drop Zone, extreme pendulum ride and more. For the tots and kids up to age 10 there's Kids Playce, a special area that’s filled with soft-play areas and gentler rides. Win some prizes in the arcade, scramble up the 35 metre climbing wall or get scared in the Haunted Mansion. 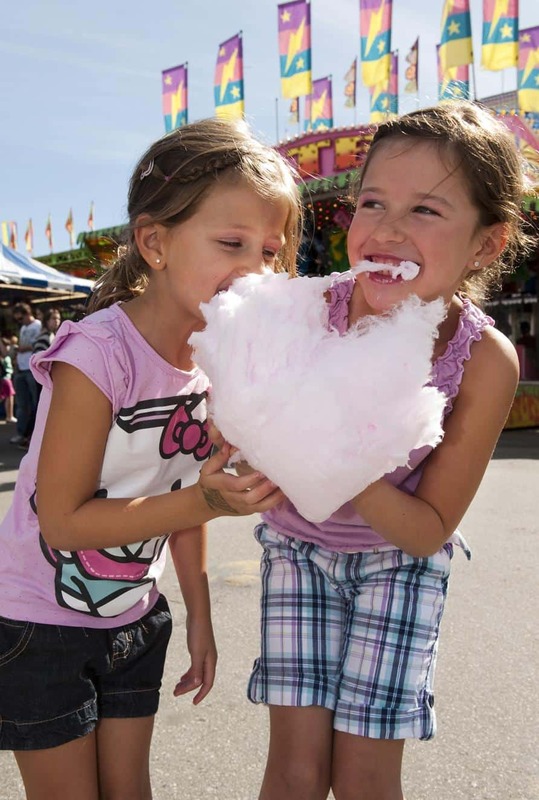 With so much to see and do, it's easy to pass a day at Playland. Hours: 10 a.m. - 5 p.m. daily, and 9:30 a.m. - 6 p.m. seasonally. Open 365 days/year. Why the kids will love it: More than 70,000 animals call this aquarium home, including jellyfish, rays, sharks, seals, penguins, beluga whales, clown fish and blue tangs (aka Nemo and Dory), a Giant Pacific Octopus, an electric eel, sea horses, turtles, snakes, frogs and even a sloth. 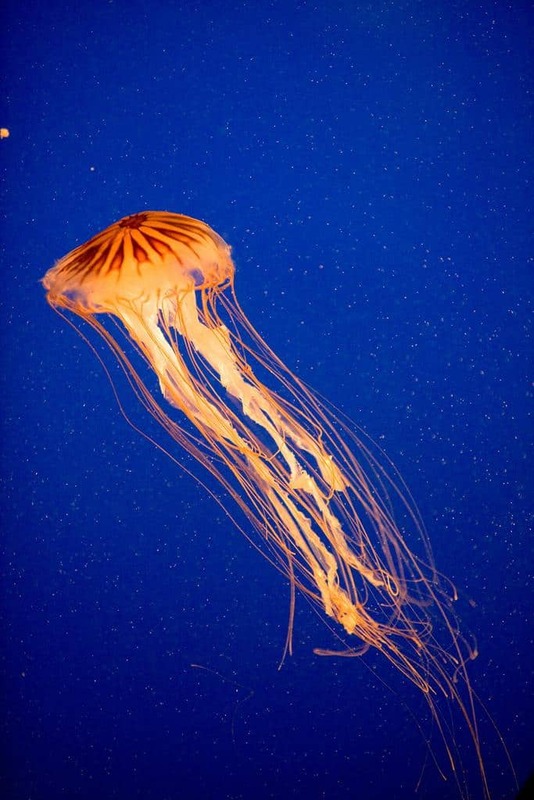 We love the hypnotic BMO Jellyfish Bloom and the tanks that show what exactly lies beneath British Columbia's local waters. The kids won't want to miss the Discover Rays Touch Pool, daily shows, and private animal encounters (fee applicable). Visitors even have the opportunity to spend the night at the aquarium, sleeping next to the below-water viewing platform of the beluga tank. There are plenty of urban beaches, oceanside pools and water parks to cool off in. 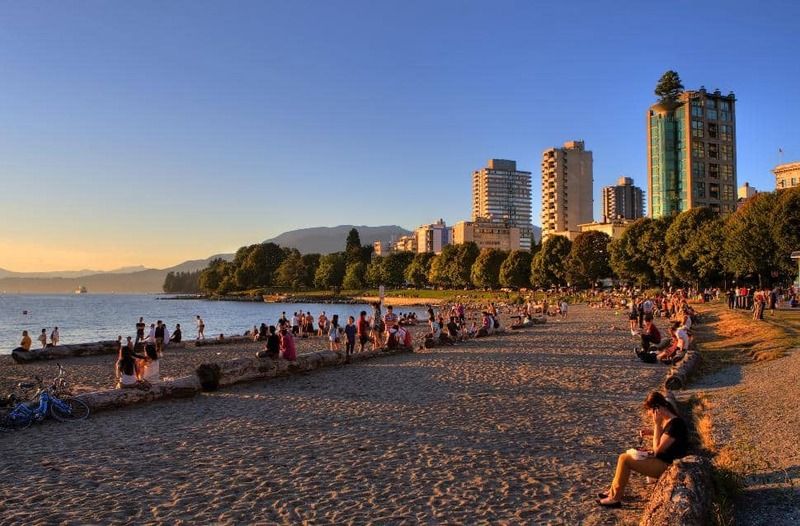 Beaches: English Bay, Sunset Beach, Third Beach (Stanley Park), Kitsilano Beach, Spanish Banks, Jericho Beach, Wreck Beach (warning, clothing optional), Ambleside Park (North Vancouver) and more. 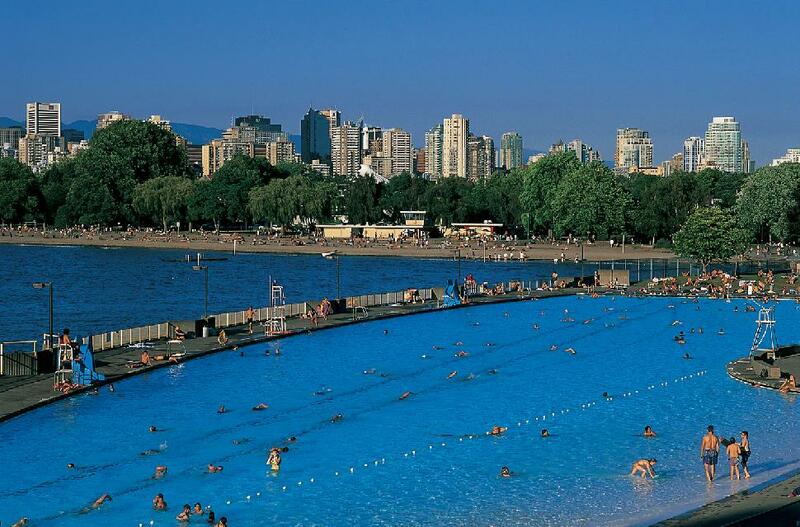 Outdoor pools: Kitsilano Pool – Vancouver’s only saltwater pool is 137 metres in length and offers three slides. Or hit up Second Beach Pool in Stanley Park which has a great view of English Bay and a gradual sloping surface, perfect for tots wading in the shallows. Both are heated and operate into late summer. 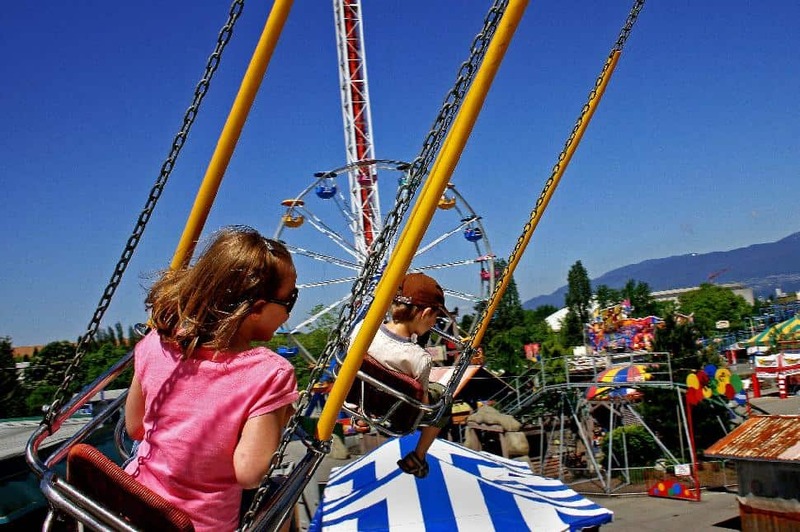 Hours: Sun to Thurs 9:30 a.m. -9 p.m.; Fri & Sat 9:30 a.m. -10 p.m.
Why the kids will love it: A must-see attraction in Vancouver, FlyOver Canada is a flight-simulation ride like you’ve never experienced before. Strap into your chair and then securely hover over a huge dome screen. 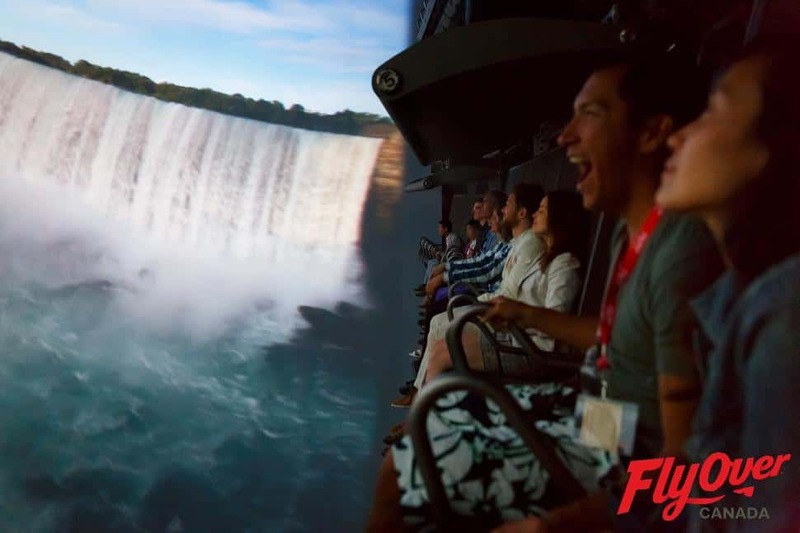 It's a 4-d experience that will have you feel like you're really flying. Whisk all the way across Canada, from east to west in, in some eight minutes. Cold air blows at you as you fly over the frozen provinces and a light dusting of mist over Niagara Falls completes the experience. It's a great way to feel your heart swell as a Canadian, and an exciting way for visitors to get a complete picture of Canada. It's surely an experience your kids will never forget. Budget 25 minutes for the entire experience. Start point: A mystery location within walking distance of Waterfront Station that will be revealed to you. 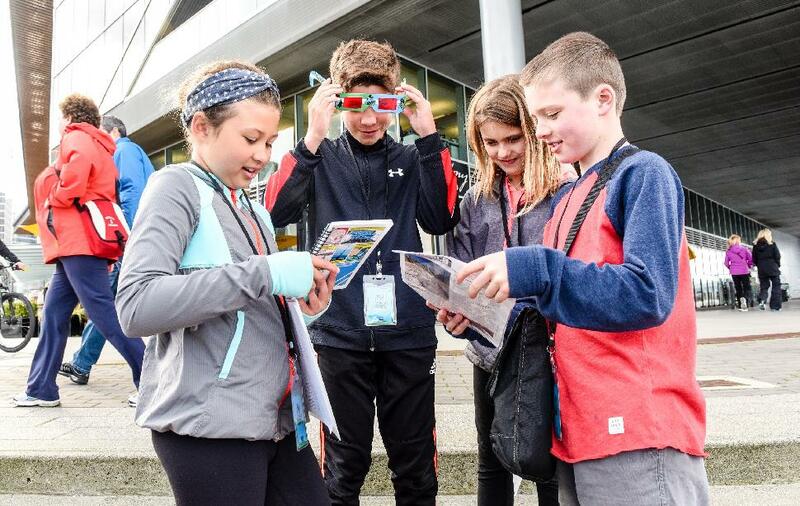 Hours: Games start every 15 minutes from 9 a.m. - 7 p.m.
Why the kids will love it: Play the Vancouver Mysteries game and tour the city while learning all about its history, architecture and culture. This game is played on the streets of downtown Vancouver, where you navigate from location to location, finding clues, completing challenges and solving the mystery. Do your kids love Vancouver? What's your favourite thing to do there? Fire us a tweet, tag us on Instagram or comment below!